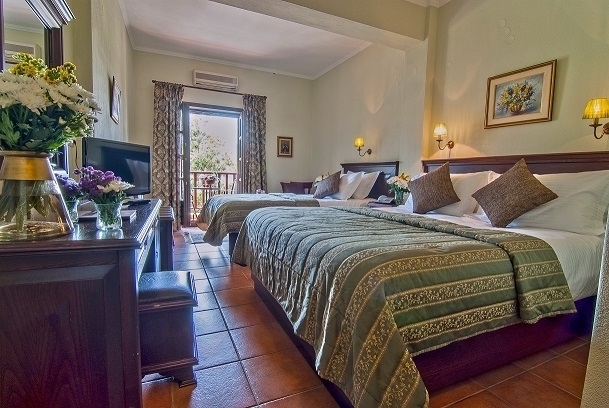 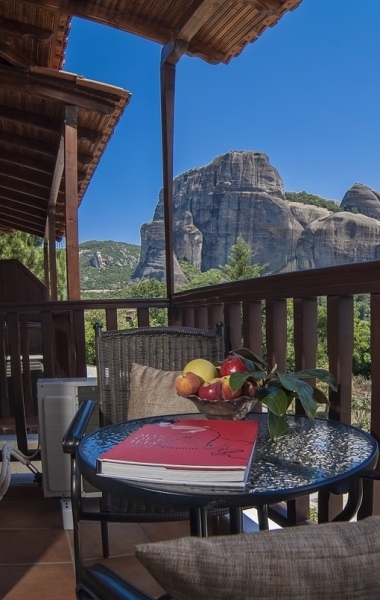 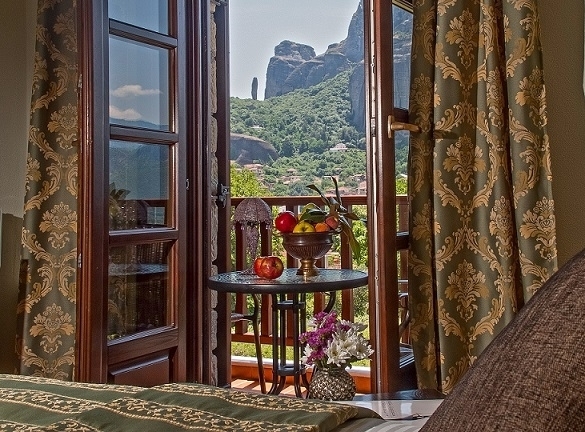 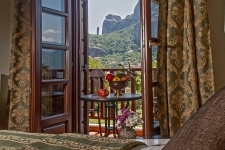 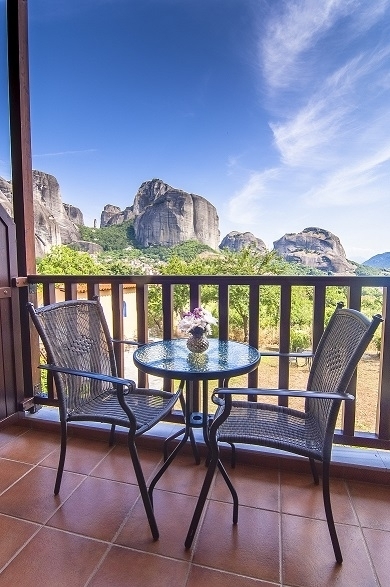 All rooms are spacious and have great views of the mountains and the unique beauty of the Meteora rocks . 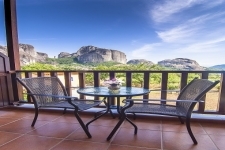 They have central heating and air conditioning , satellite TV , safe , mini bar ( fridge ) , telephone , internet, hairdryer and telephone in the bathroom and of course balcony with the most panoramic views of the area The Doupiani also has a seating area with antique wooden furniture and traditional stone walls . 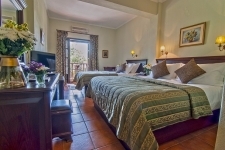 The decor rustic furniture make even more intense feeling of warmth . 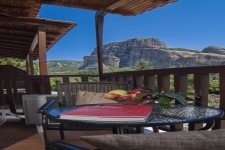 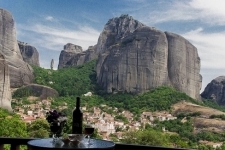 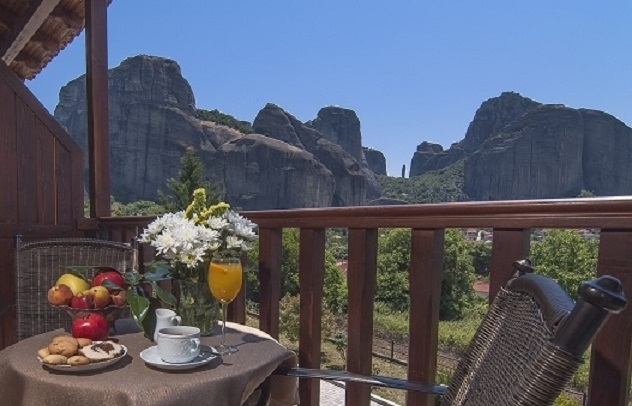 You will enjoy your breakfast with local products and also will have the opportunity to admire a unique spectacle of the Meteora rocks .